A heel spur is a condition, which causes calcium deposits that lead to a bony intrusion under the heel bone. It is often associated to the inflammation of the connective tissues between the foot and the heel bone and thus, leaving you in pain. It may also lead to swelling, irritation and weakening of the arch bone. Heel spurs are sometimes painful — described as a knife digging into the heel — and other times, a heel spur goes unnoticed and is only detected by an X-ray. But, you still must do some walking just to perform your activities of daily living, and that means you will have pain. While the treatment includes exercise, anti-inflammatory medicines and surgery in some cases to remove the calcium deposits, there are a few natural solutions to help you deal with the pain. The pain caused by heel spurs can often be sharp and stabbing like pin sticking into your heel, especially when you walk or stand up after a period of rest. A diet rich in magnesium (essential for bone formation and calcium absorption) and alkaline foods to balance the PH levels in out body which can prevent inflammation and calcium build-up can help support speedy recovery. Here are seven easy home remedies that can provide a good degree of relief from the throbbing pain. Epsom salt is nothing but magnesium sulphate. Interestingly, most of the magnesium in our body is stored in the bones. Sprinkle some Epsom salt in water and dip your feet in it. You can also gently massage your heels with it. Pure essential oils like rosemary or lavender and even everyday oils such as coconut and olive oil can help reduce pain due to their anti-inflammatory properties. Coconut oil also acts as a natural moisturiser that softens your heels. Just warm up the oil slightly and rub it deeply but gently into your heel. 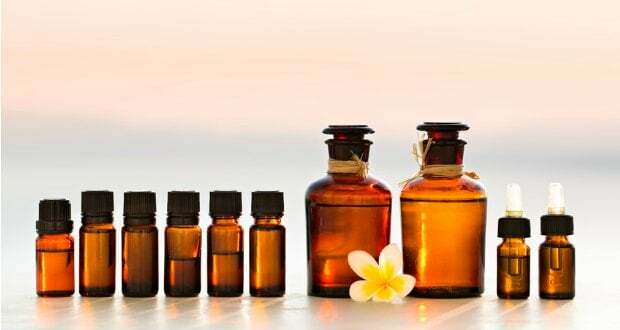 Pure essential oils can help reduce pain due to their anti-inflammatory properties. Apple cider vinegar is the new super food. It can cure anything from skin and stomach problems to pain. Apple cider vinegar is known to pull out the excess calcium from the bone and bring relief. 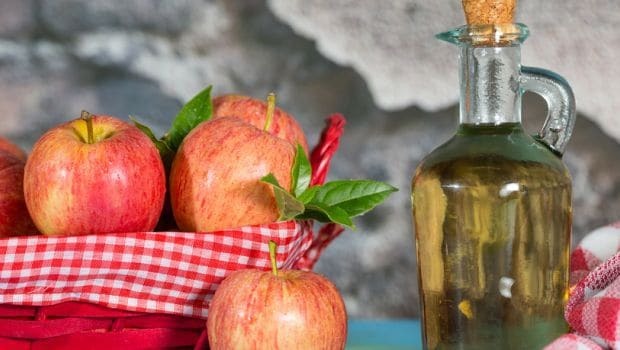 You can either soak your feet in a tub of warm water with few drops of apple cider vinegar or wrap a wet towel drenched in it around your heel for few minutes. Apple cider vinegar is the new super food. 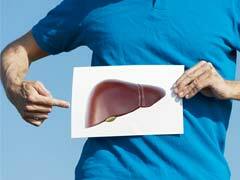 If you’re looking for quick and instant relief you should look at doing cold fomentation. 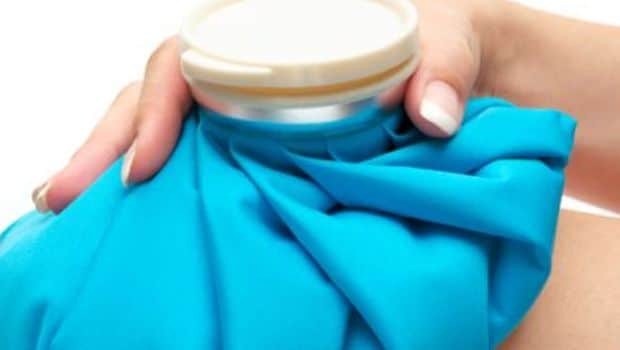 Applying an ice pack on the affected area for few minutes is a great way to soothe swelling and pain. Avoid applying ice directly to your heel – use an ice pack or wrap in in a towel. Applying an ice pack on the affected area for few minutes is a great way to soothe swelling and pain. You’ll be surprised to know the number of things this humble kitchen ingredient can be used for. 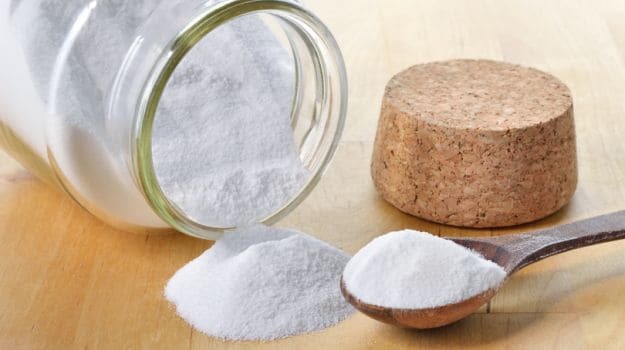 From giving you beautiful skin to whitening your teeth, baking soda offers a lot of benefits. It works directly on the calcium crystals deposited in the heel. Make a paste by mixing half teaspoon of baking soda in water and apply this on your heel. Baking soda also helps in balancing the pH levels. Baking soda also helps in balancing the pH levels. Flaxseed oil is rich in alpha-linolenic acid, a form of omega-3 fatty acid, which attacks inflammation. Pour some flaxseed oil in warm water and dip a towel in it. Wrap the towel around your heel and place a heating pad over it. Leave it on for at least an hour and avoid moving during this period. Certain ingredients like turmeric, ginger, cayenne pepper and cumin seeds are known for their strong anti-inflammatory properties. These foods contain natural antioxidants and polyphenol that act as protective compounds and can help reduce levels of inflammation. 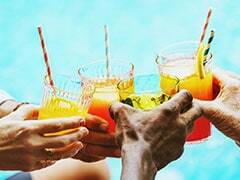 You can make a decoction with 1 teaspoon of powdered ginger, turmeric or pepper and warm water. Drink this whenever pain arises. With cumin seeds, you can boil them in water, strain and drink up to counter the pain. 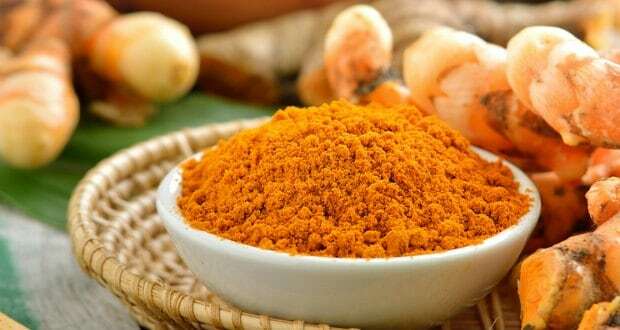 Turmeric, ginger, cayenne pepper and cumin seeds are known for their strong anti-inflammatory properties.